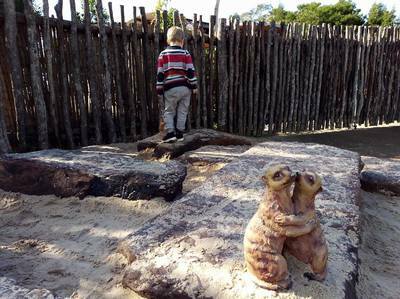 Yesterday, we took the children to Werribee Zoo for Storytelling Sundays. Storytelling Sundays is a new but temporary program offering a taste of African life to zoo visitors on Sundays throughout May and June. 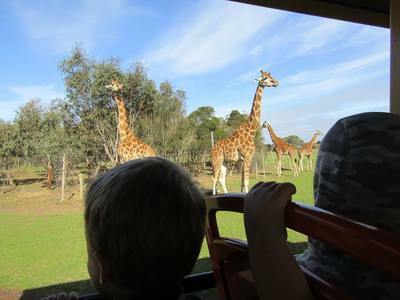 Admittedly the kids made a beeline for the Safari Tour bus ride, because this is such a unique and special experience to do at Werribee Zoo, regardless of the time of year. 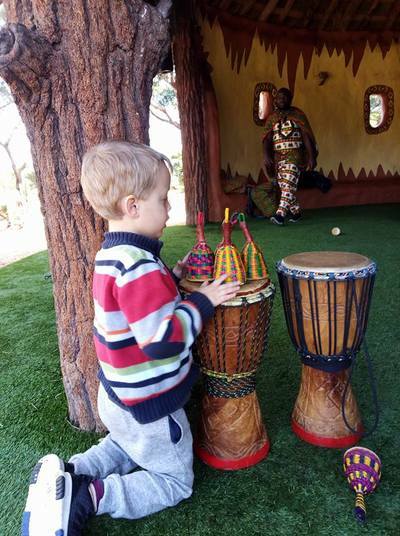 Once the rhinos, giraffes, zebras, hippos and ostriches were spotted, we journeyed through the zoo and found the aformentioned Storytelling Sundays' activities happening in the African Village. 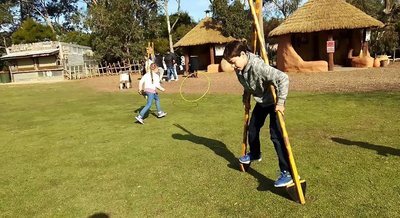 The children both enjoyed having a go at the giraffe stilt walking and hula hooping, whilst we watched a group of excited children running across the lawn dressed in African attire, following the lead of one of the zoo's Storytellers. 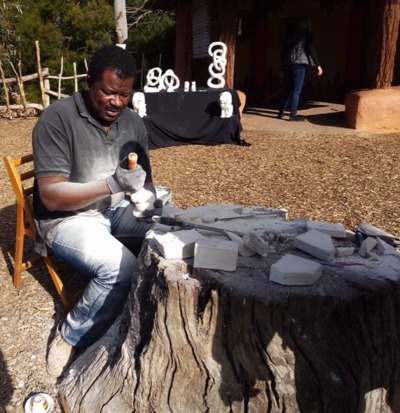 After a little music session with African instruments, we sat in on the Ethopian coffee ceremony and enjoyed watching the ever-talented African stone carver do what he does best. As we set off around the zoo to spot a lion or two, we found another Storyteller presenting an African tale to a group of engaged little ones - and grown-ups too! Storytelling Sundays are a lovely addition to the Werribee Zoo this winter. 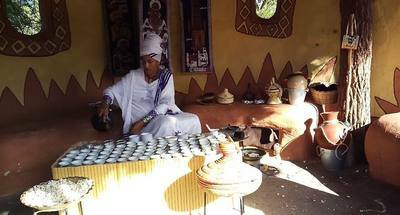 The activities on offer introduce visitors to a little slice of Africa in Melbourne's West. Storytelling Sundays' activities do not incur any extra costs, they run between 11am and 2pm on Sundays until 24 June and are inclusive of your entry fees.